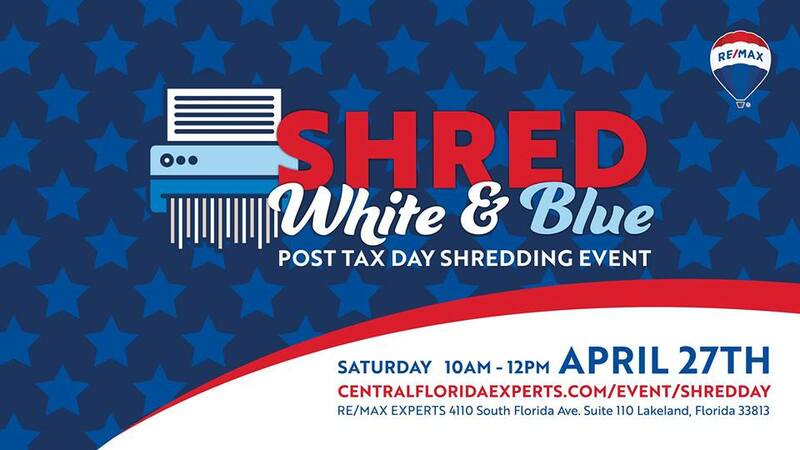 Join us on Saturday, April 27th from 10 am to 12 pm at our office on South Florida Avenue to meet our agents and shred your unneeded documents in a secure mobile shredding truck. We are bringing in Proshred®, a Tampa Bay shredding company, that will provide a Certificate of Destruction guaranteeing confidentiality of your shredded documents. In lieu of payment for shredding services, please bring a canned good donation to support Lighthouse Ministries. We will also have a raffle for a $100 gift card to Ric’s Wine Market. We can’t wait to see you there! Please bring only paper documents. Paper clips and staples are fine to shred. Waste, binders, trash, cloth, plastic, etc. are not permitted.